In a culture that celebrates the spectacular and extraordinary, it can sound a bit behind the times to say our church is committed to the ordinary means of grace. What is so exciting about that? The answer is that it is exciting to avail ourselves of the powerful tools God uses to save people from sin and help them grow in godliness. Ordinary means ministry believes that the key things that the church can do in order to help people know God and grow in their knowledge of God are: First: emphasize the public reading and preaching of the Word; second, emphasize the confirming, sanctifying, assuring efficacy of the sacraments, publicly administered; and third, emphasize a life of prayer, especially expressed corporately in the church. All of this takes place preeminently in morning and evening corporate worship on the Lord’s Day. At Covenant Presbyterian Church, we are committed to ordering our worship with a focus on these ordinary means of grace. Expositional preaching, mostly through whole books of the Bible, is at the center of our worship. But the Word informs every aspect of our service such that it may be said that we read the Bible, preach the Bible, pray the Bible, and sing the Bible. We partake of the sacrament of the Lord’s Supper weekly in morning worship, as God renews His covenant with us and assures us of His grace. And we punctuate our worship with prayers of praise, petition, and commitment, confident that our great High Priest, Jesus Christ, bears our prayers before His Father’s throne of grace. We may speak of the ordinary means of grace, but we know that God uses the Word, sacraments, and prayer to do extraordinary things in the lives of His people. Come join us for worship this Sunday! In 2011, Covenant Presbyterian Church partnered with Immanuel Fellowship Church Kalamazoo, Mich., and First Baptist Church Hermanville, Miss., to provide a week of Vacation Bible school to the children in Hermanville, Miss., at First Baptist Church. Every second week in June, a team from Covenant and Immanuel travel to stay at a host church in Port Gibson, Miss. Monday begins the week of VBS. Our day begins at 8:30 and ends at 2:30. We sing, and study the Bible together, have crafts and play a lot of games. The children’s ages attending range from 3 yrs old – high school. We have seen growth each year, not only in numbers (120 children) but in curiosity about the Bible and the gospel message. We have experienced the importance of partnering with other churches. Each year, we are excited to see the children and church members from First Baptist. As we have grown in our relationships with the people in Hermanville, we also began a cookout at the church on Wednesday evening to invite the Hermanville community. This has also been a great opportunity to connect with members of the community. 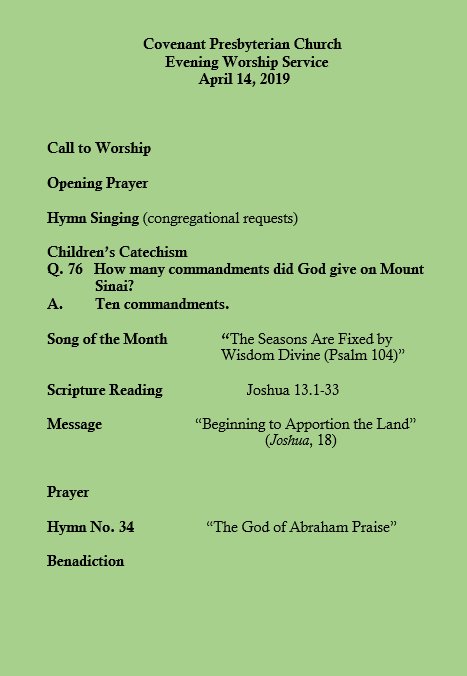 We maintain communication with the children throughout the year by sending a quarterly newsletter to First Baptist to distribute. One other part of our outreach is a construction crew that works on homes in Hermanville as designated by the local outreach group, Christian Volunteer Services.